A Design Review Board (DRB) or Architectural Review Board (ARB) can impose an additional step in permitting new projects. Many of our retail and restaurant clients like to pursue new properties that provide the highest return on investment. While more affluent areas provide this, owners and their real estate partners need to be aware of a trend that has gained popularity. 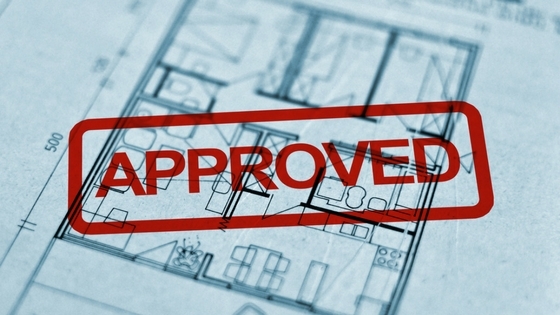 A Design Review Board or Architectural Review Board can impose an additional step in permitting new projects. Possible redesign for your building exterior. This may include a color scheme, certain exterior materials, or even limits to what functions are allowed on your site. All of these possible requirements can add additional time and expense to project development costs. A convenience store client purchased a property to then find he could not build a car-wash or have a drive-thru on site. These two items were key to meeting his anticipated return on investment. A major oil company found that the local jurisdiction would not allow the color green, which was the primary color in the companies branding. 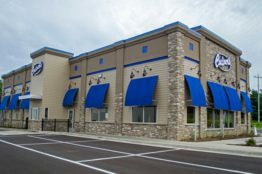 A restaurant franchisee expended time and money to pursue a DRB approval only to find the local board would not allow a drive-thru on the side of the building. This after spending a few months and several thousand dollars getting to this point in the process. A restaurant franchisee was forced to spend an additional $40,000 to utilize a specific brick required by the board. 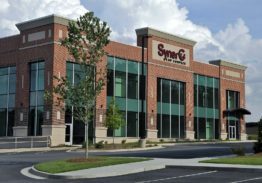 A retail chain location suffered financially as their building was visually similar to all the other local businesses. Extreme sign limitations further affected the ability for the retail store to draw customers. So what can an owner do to avoid these issues? Make certain to utilize a local real estate person with knowledge on your potential areas of development. Ask questions to the seller of the property. Once interested in a site, call the permit office with the property of the address and ask about DRB, ARB, requirements. Sometimes you can find specific information on websites regarding local permit jurisdictions. Speak with your architectural firm and have them research the issue. A few hundred dollars spent now could save you thousands later. Budget for the additional time and costs. Redesign work on a standard building can really add up.